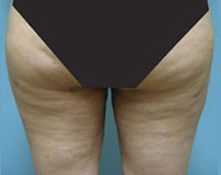 PATIENT 1: Following weight loss, this patient developed loose skin in inner thighs. 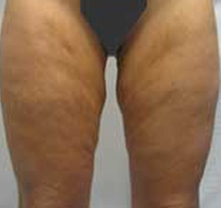 A thigh lift was performed to removed excess skin. Scars were placed next to the pubic hair, which allows the scars to be hidden behind underwear. PATIENT 2: This patient underwent inner thigh lift and liposuction. The scars are well hidden within the patient’s underwear. PATIENT 3: This patient underwent liposuction of inner thighs. PATIENT 4: This patient underwent liposuction of the inner and outer thighs.